Why Won't My Family Help Clean? Many people feel that their spouses and/or children don’t help out enough around the house. In addition to a general dislike of household chores, there may be significant factors influencing your family’s decision not to pitch in. 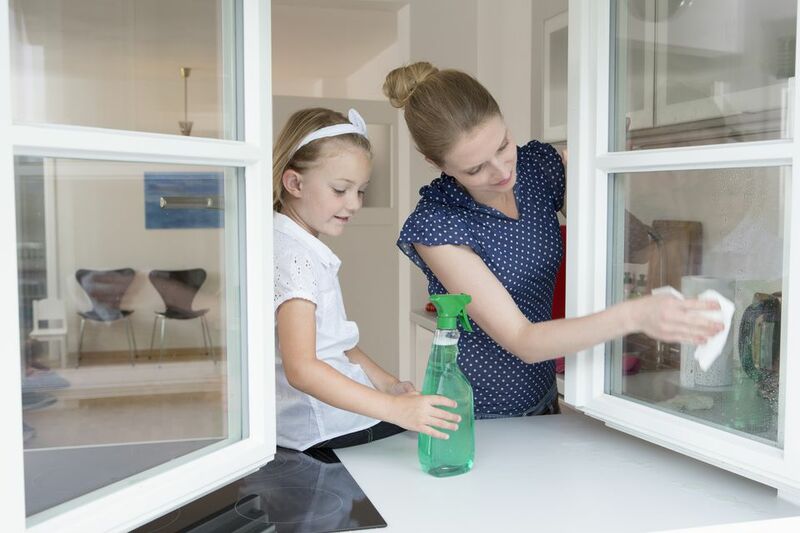 If you feel like a lone warrior in a war against dirt and debris in the home, it may be time to look at the reasons your family is failing in the fight. If you are the type of supervisor who is never satisfied with other peoples’ results, you may be teaching your housecleaning recruits to fail. Make sure your demands are reasonable. Your husband may not want to use the same method to scrub a tub that you do. If the tub gets clean and you did not have to do it, does it really matter? If your family is failing at accomplishing the job, they may not fully understand what you expect. “Clean the bathroom” can be a vague request. Consider posting a list of what cleaning the bathroom really involves. Your family will understand what is required and you will be more likely to have a job well done. Sometimes you forget that jobs that are easy for you may be a mystery to the rest of your family. (Especially if they are used to having someone else do all the work.) Just as jobs outside the home have training periods, incorporate teaching chore requirements to your children. Consider a few days of side-by-side cleaning, followed by supervised cleaning. Be sure not to fall into the trap of over criticizing. You will risk a workers revolution. Training your help will alleviate the frustration of them being overwhelmed by what to do. Besides showing them how to accomplish certain chores, also show them how to make chores fun. Consider your family member's motivation to clean. Do they have one? If you have consistently cleaned their messes for them, suddenly asking them to take responsibility may come as a shock. Soften the blow by holding a family council and discussing the responsibilities associated with each family member. This is a great time to bring up consequences for not following the plan. There may be natural consequences. If laundry is not brought to the laundry room every Monday, people will not have clothes to wear. Other families may tie treats, allowances, or screen time to chore completion. It may take them experiencing these consequences a few times to get the idea across. If your family is over-scheduled and overwhelmed, you are probably feeling the pressure of not enough time in the day. You can look to your family to help pick up the slack, but are they just as busy as you are? Many families today have few minutes left over in the day to tackle ordinary household chores. If your family is trapped in a time crunch it may be time to reevaluate priorities to ensure that necessary maintenance for your home is included. Don’t forget to incorporate leisure time inside the home into your schedule. Help your family learn that their efforts at accomplishing chores can remake their home into an oasis from the chaos of the outside world.